Get away from it all and experience exceptional dental at one of our dentists in Sayulita. As one of Nayarit’s undiscovered-by-the-masses tourist towns it is only a matter of time before it becomes the next hot destination. Until then you can take advantage of its relatively unknown status and experience authentic Mexico in a tropical setting. If your idea of a holiday includes lying on a beautiful tropical beach with good, cheap food and a laid-back ambiance then Sayulita will be heaven. An Oceanside town with a backdrop of dense, tropical jungle, it may seem rustic when compared to Cancun or Puerto Vallarta, but you’ll find everything you need here, including modern conveniences we can’t seem to do without such as ATMs and wi-fi. While Sayulita is an off-the-beaten-track destination, it has been a magnet for surfers since the 1960s. It is curiously eclectic as nowadays the surfers still come but the art galleries, restaurants and the area’s natural beauty also attracts upscale tourists, with the indigenous native communities here also adding another element. In common with lots of Mexico’s other coastal towns there are all sorts of activities available both on the land and at sea, including catamaran tours, sailing, horse riding, snorkeling, zip-lining, spas and yoga retreats. Foodies will love the cuisine which is fresh, local, good and fantastically priced – what better way to end a perfect day than by taking in the evening views at an open-air beachside restaurant with a glass of your favorite tipple? 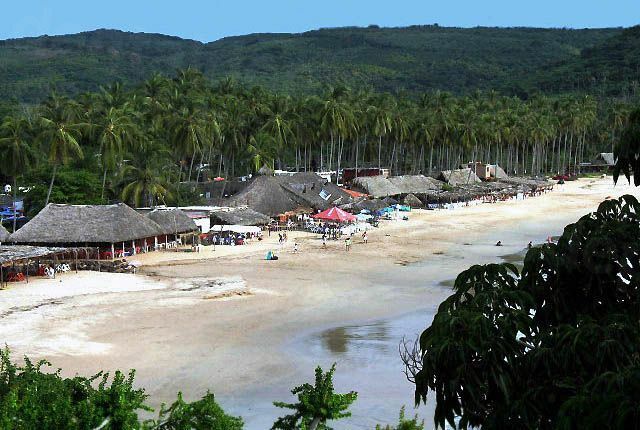 Sayulita is part of Nayarit’s Riviera and the Mexican government is rightly proud and protective of its natural beauty and unique biodiversity. In the spirit of helping to safeguard the environment and quality of life of the communities here, development is being regulated with stricter enforcements, hopefully preserving the distinct characteristics of this charming part of the world. Dental patients should not mistake authenticity with lack of decent medical and dental services as there are forward-thinking multi-disciplinary clinics who deliver expertise across a range of different areas – all for substantially less than most westerners would pay at home. 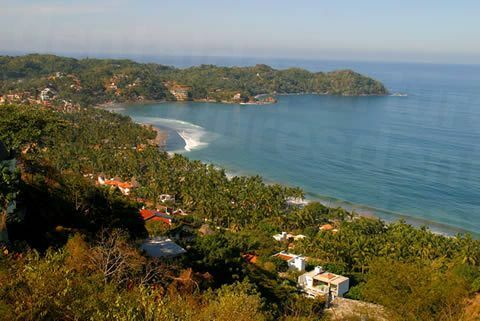 Sayulita is in the state of Nayarit. It is the southernmost town on the 60 km stretch of coastline known as the Riviera Nayarit, running to the legendary home of the Aztecs, Mexcaltitan, in the north. 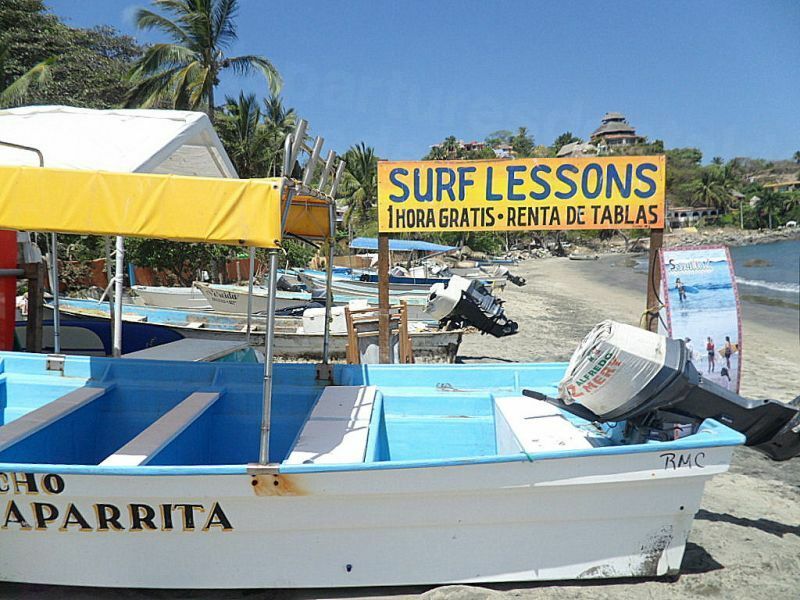 Why visit a dentist in Sayulita? This picturesque fishing village lies on a bay fringed with white sand and palm trees with a backdrop of lush jungles. Cobblestone streets lined with colorful shops, stores, restaurants and galleries are a world away from vast impersonal shopping malls housing the same brands the world over. It is this combination of culture, beaches, Ocean, amenities and friendly locals that beguiles visitors, so much so that they don’t want to leave. Part of the Nayarit Riviera, there are plenty of options along this stretch of coast for exploring, and it is particularly picturesque. As a dental patient you will find that all the amenities and conveniences you need are all here, but also that you can really enjoy a tranquil holiday in this part of the world, but if you want to party the established Puerto Vallarta is not too far away. Also, for many North Americans the flight time is relatively short and it’s a good opportunity to get some winter sun without traveling too far. The money you’ll undoubtedly save on dental care is a big incentive to come to Sayulita, whether you are coming here specifically for your dental procedure, or you have decided to have some dental work while you’re here. Not hugely developed, accommodation tends to get booked early, but you will find that Sayulita has a pretty good choice of different styles and budgets, many with terrific views of the Ocean or mountains. There are no US travel advisory warnings for travel to the Nayarit Riviera, which includes Sayulita, Buceria and other towns, or Nuevo Vallarta and travel between here and Puerto Vallarta and Guadalajara in Jalisco. It is an urban myth that dental care in Mexico is generally bad. Sure – there are bad dentists everywhere, and if you are unlucky enough to find one then yes, we are sure there are horror stories that would make you wince. However, the world is now a much smaller place and as well as people traveling, news does too – just look at the internet and how quickly a post on a social network site can become viral? In our experience dentists in Mexico are every bit as good as your dentist at home is. The thing is, nowadays it is much easier to check out a dentist abroad as there are such things as reviews from other patients, and reading these can give you a much clearer idea of whether a particular dentist is likely to be reliable – and its worth bearing in mind that these days bad news carries fast. Of course, this is not the whole story. You may not necessarily know how trustworthy the reviews are, which is where we come in. We background check all our dentists who are listed on our site, performing criminal records and legal checks. We also check qualifications, and these are listed on our site, along with high resolution clinic photos and virtual tours. We also have a lot of patient reviews and if you look at Review Centre or Feefo you can see exactly how Dental Departures is doing too. Hopefully, all these things taken together will give you the guidance you need to decide whether a particular dentist is right for you. It is a very rare occurrence for things to go wrong, but if they do we will do everything we can to get it put right. Our dentists all offer warranties and guarantees on their work, and we can get in touch with your dentist on your behalf and arrange for you to have the problem fixed free-of-charge. This also includes any materials too, so if you have a problem with a crown, for example. It doesn’t include travel or accommodation costs and if you want to ensure cover for this eventuality we have teamed up with some insurance providers who offer low-cost plans should this arise. It is worth bearing in mind that warranties and guarantees do vary in length from clinic to clinic and according to what procedure, so do ask us about your particular clinic’s warranties if you can’t find out any information about it on our site. Like most tourist areas in Mexico, English is spoken widely in hotels, shops, restaurants and other commercial establishments so you will get by without knowing any Spanish. Dental offices in Sayulita accept US dollars and most accept other payment methods, including debit cards, traveler checks and personal checks. Where credit cards are accepted an additional small processing fee of between 3-4% is usually levied. Check out each clinic’s payment preferences on our site. Our dentists are open all year. The weather in Sayulita is good throughout the year – in fact, even in winter the water is very warm, more like a bath than the Ocean. Certain times of the year are busier than others – with December to March being peak season. June to September is the rainy season, but it is still humid and hot and there are still plenty of sunny days. You can often find good deals on flights and accommodation during this time. Our dentists are open all year too so whenever suits you is the best time to visit. It may be difficult to get around in a wheelchair. The roads are cobblestone or dirt, which becomes mud when it rains. We’re not saying that it’s going to be easy to negotiate the terrain here but we can always get you to one of our dentists – just call us and we’ll see what we can do. Nothing specific to Sayulita – but this is Mexico and you will always find vendors of one sort or another on the beaches. To some they are a welcome service, to others an annoyance, but a polite ‘no thanks’ usually sees them on their way. Dental patients should know that the standard method of pain relief is local anesthetic rather than sedation. If this is a problem for you most of our dentists are able to arrange sedation dentistry, but the services of an anesthetist will be required and so it will have to be booked in advance. Additional charges of between $400-$600 will be payable. Prescription anxiety medication such as Valium is also available but needs to be booked in advance too. The standard method of pain relief given by dentists in Mexico is local anesthetic, so if you require sedation dentistry most of our dentists will be able to accommodate this but you will need to arrange it in advance. Please be aware that an additional charge of between $400-$600 will be payable as an anesthesiologist will need to be in attendance. Dental patients should also be aware that Valium and other prescription anxiety medication is available provided it is booked in advance. What else is there in Sayulita? Sayulita is naturally beautiful. There are still hidden beaches to discover and abundant virgin jungle for hiking. If hiking is not for you there are other ways to explore – you can rent ATV’s, horses and mountain bikes to take you further into the jungle. Whale watching is a popular pastime from November through to January and you can hire a panga boat for a closer view, or rent kayaks to explore the ocean and islands. There are a myriad of our operators, giving you different options to visit local area attractions, including the Islas Marietas – a group of uninhabited islands a few miles off the coast. The islands are protected from fishing, hunting and any human activity (and only a few tour operators are allowed to go there), which has created an environment rich in wildlife and a well-developed marine ecosystem. It is popular for scuba diving and snorkeling with reported sightings of thousands of species of fish, birds and sea creatures, including manta rays, turtles, octopus, dolphins and whales. Watch out for festivals that take place throughout the year including the newly established Festival Sayulita. This new international festival of film, music, food, drink and surf started in 2014 and takes place in January. The nearest international airport is Puerto Vallarta (PVR), around half an hour’s drive away. It’s easy to book an appointment with a quality-checked dentist in Sayulita with Dental Departures. Book online, call toll-free or send us an e-mail. You can also use our online chat facility to talk with one of our friendly Customer Care Team who will answer any questions you have. Find your dentist with us - and remember our services are free.